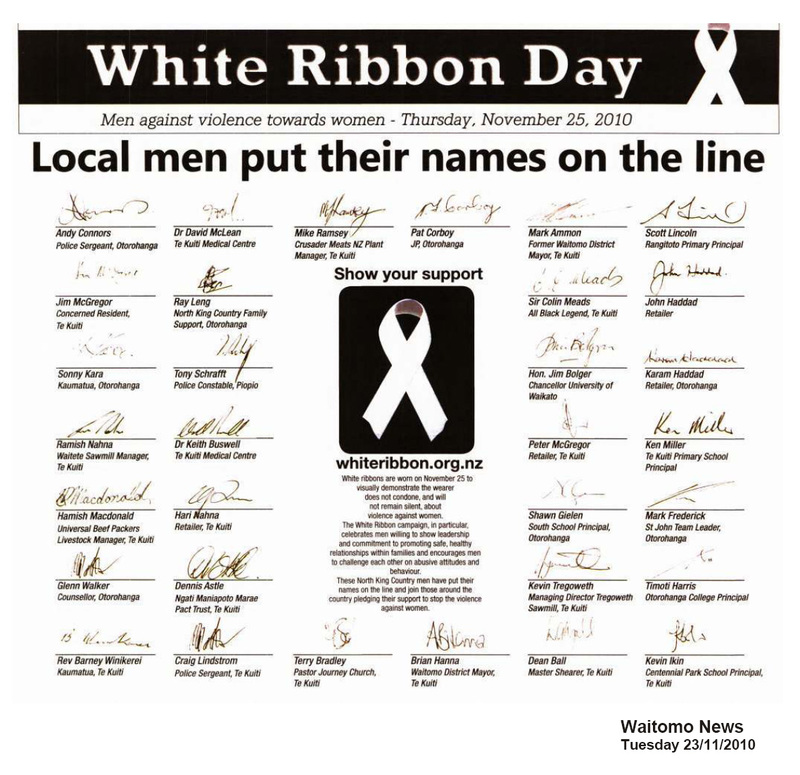 The Newspaper Pledge Project is a call to prominent New Zealand men to show their support for the White Ribbon kaupapa. In 2013 Mayors throughout New Zealand were asked to take part with a full page of pledges being printed in the Sunday Star Times on 25 November. The White Ribbon campaign team coordinated a national pledge page in the Sunday Star Times published on White Ribbon Day, 25 November. We asked our community to contact prominent men that would be willing to step up and sign their name under the White Ribbon banner. Communities can take the lead and organise pledge pages in collaboration with their local newspapers. We will happily share our White Ribbon Ambassador signatures should you wish to use these. If you have any questions about the project, or would like more information please contact us.